Watch The Americans Season 4 Episode 3 online via TV Fanatic with over 7 options to watch the The Americans S4E3 full episode. Affiliates with free and paid streaming include Amazon, iTunes, Vudu, YouTube Purchase, Google Play, Amazon Prime, and Verizon On Demand. 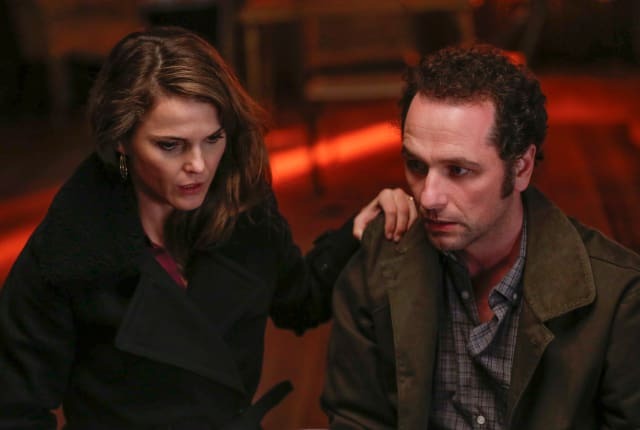 On The Americans Season 4 Episode 3, Philip and Elizabeth try to keep their cover without destroying Paige who faces new burdens due to her family's secret. First there are no choices and now there are no good choices. I'd say we're making progress. Permalink: First there are no choices and now there are no good choices. I'd say we're making progress. Trying to bring their daughter in was a mistake. It's time to take them home. Permalink: Trying to bring their daughter in was a mistake. It's time to take them home.